Backed by the engineering expertise and innovation of a world-leading equipment manufacturer, the TRIPLE-L trailer from JLG® offers the best combination of productivity, quality and value for your money. Unlike ramp and tilt-bed systems, the TRIPLE-L trailer features the exclusive Power Deck system, a unique hydraulic mechanism used to lower the entire deck of the trailer to ground level. 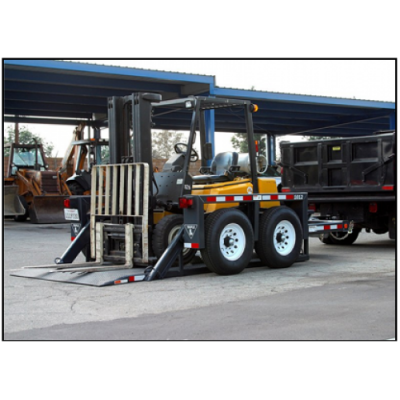 This eliminates the need to drive, pull, winch, or push a payload up or down a loading ramp and provides for faster, safer and more efficient loading of everything from construction and industrial equipment to vending machines and supplies.